Arunachal Pradesh Karate player, Johny Mangkhiya has become the first person from the state to be selected for the Asian Games. The Karate Association of India (KAI) on Tuesday selected Johny for the ensuing Asian Games to be held in Indonesia after a three-tier selection process. She will represent the country in women’s individual kumite in below 68 kg category in the Games. 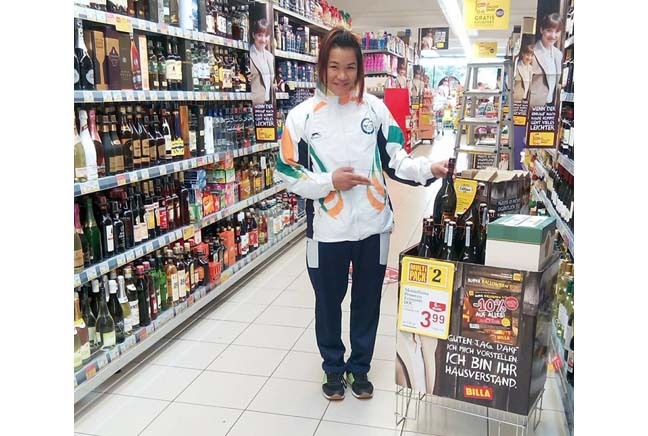 The final selection trial was conducted in Bhopal, Madhya Pradesh on Tuesday, where she defeated three other contenders in her weight category from Orissa, Bihar and Delhi. She has many national and international medals, including two senior national and one Commonwealth gold, to her credit. She also won three silver medals in KAI senior national karate championship besides a few bronze medals. She won a gold medal in the 8th Commonwealth Karate Championship, which was held in Delhi in 2016. She represented the country in the 23rd Senior World Karate Championship, and 12th AKF Senior Championship, which were held in Austria in 2016 and Dubai, United Arab Emirates in 2013, the Arunachal Times. She is the daughter of Nira Mangkhiya and Mazen Mangkhiya of Seppa in East Kameng district.